September 5, 2012 – One of the scariest event that happened to me.. Yes! Scariest! As in nakakatakot to the highest level. Okay here’s the story behind that creepy incident, last week of July I suffered mild pain on my lower left abdomen. I thought it was just UTI (Urinary Tract Infection) which I had before, I undergo several test and laboratory like urine, blood, stool and whole abdomen ultrasound but it turns out all negative, thank God! The pain is on/off, sometimes severe sometimes so so.. I keep on complaining about what I feel inside my stomach, there are times I think that I had appendicitis like Ian but the symptoms is different as what he always told me. I keep calm, I keep my mind on a positive way, I pray to God that this illness is not too serious and will disappear soon. I already consulted specialist (endocrinologist), and prescribe 2 kinds of medicines (Domperidone and Omeprazole – Risek) that I will take for 1-2 weeks. But the pain didn’t fade away instead it become worst that’s why I decided to go at Emergency Room in Makati Med right after my work. As soon as I arrived, I saw lots of patients waiting for their turn, yes! You need to wait until the nurse will call your name. One nurse asked some questions while OJT get my BP after that I proceed to the registration area and wait at the waiting area to call my name. I texted my husband as well as my parents and mother-in law about my situation, it’s so hard to be alone during those times, I feel so weak, I feel that anytime I will pass out until Ian arrived. Thank God! 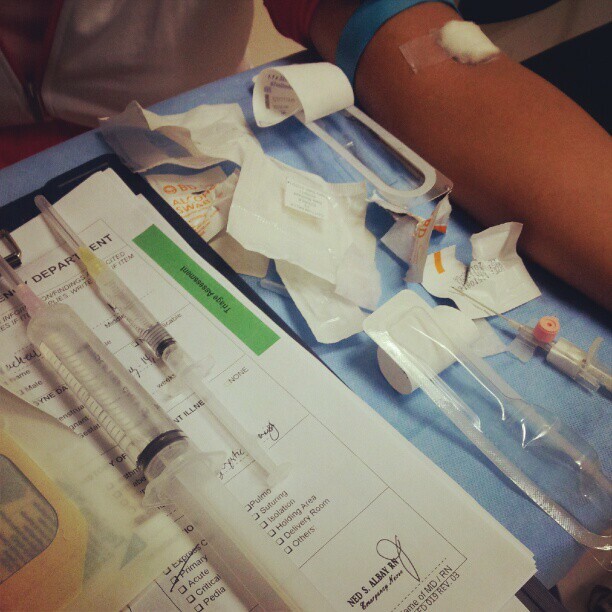 To tell you honestly, I’ m afraid in needles. Takot ako sa injection I swear! 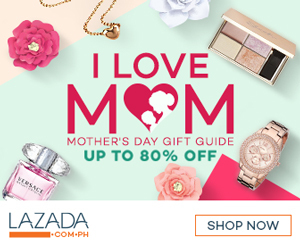 Talo ko pa ang bata kung umiyak! As the doctor call my name, Ian try to calm me because he knows how frighten I am that time. Dr. Gabriel examine my stomach, he press my abdomen and release to know where the pain came from. 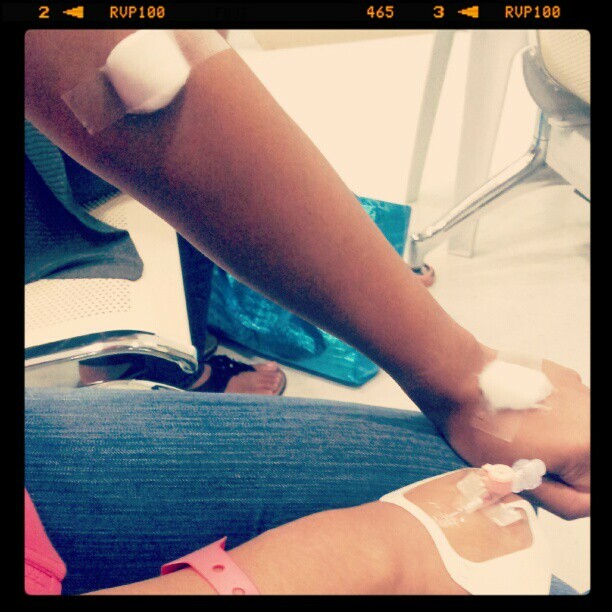 Then, finally he told me that they need to put IV drip on my hand. Oh Noohh!!! Injection na naman!!! Ayooko na!!! I promise myself to be brave this time, I think that I need to face my fear in needles and think of the future because I know someday mas maraming injection pa mararanasan ko due to pregnancy. I tried to be calm and relax, Ian hold my hand and whisper “Andito lang ako honey, kaya mo yan.” Hearing those heartening words from my husband really makes me more confident that I can overcome my biggest fear. One nurse tries to put IV drip on my left hand but unfortunately he failed because according to him my vein is too thin that’s why he inject me again on my upper left arm but for the 2nd time he failed again, I got irritated, I’m soo tired, I almost freak out until he decide to call for a doctor. The doctor tries to look for the bigger vein on my right side, I told him to be careful since I’m sooooo tired and I want to go home, good thing he never fail on his first try. Since I’m married, it is their SOP to check if I’m pregnant of not even though I told them that I’m not they insisted to have a pregnancy test before giving a medicine, for safety. I undergo urine test again and pregnancy test after 2 hours the result are both clear and negative! They started to put 2 kinds of medicine in the IV which really hurts me, parang may something na dumadaloy sa ugat ko papunta kung saan.. That feeling really scares me, what if I faint? Side effects? Oh noh! Panic Attack again.. Thank God my husband never leaves me alone; he keeps on telling me that I can overcome this pain just believe in God. After staying at ER for about 3.5 hours, Dr. Gabriel informed us that I have Gastritis / Acid Peptic Disease. Waaahh.. To give you an idea about, Gastritis is an irritation of the stomach often caused by medications, alcohol, caffeine, nicotine, fatty, spicy or acidic food, skipping of meals and emotional stress (as per Makati Med Report). Oh noh! I need to avoid taking aspirin and other anti-inflammatory medicines such as Ibuprofen, Naproxen and Mefenamic Acid. I need also to stay away from spicy, acidic and fatty food, alcohol and fruit juices, beverages, sodas/softdrinks, chocolates, coffee, tea and milk.. Huhu.. Sabi nga nila, masarap ang bawal.. huhu. Now, I need to be healthy again! I need to be fit! Gusto ko na ulit bumalik sa pag takbo! And because of this pain, I realized more the important of life! I thank the Lord for giving me opportunity to realize that I need to take care of my health, for giving me a very supportive husband who is always there for me in sickness and in health. Thank you honey for everything! Papagaling po ako lalo promise..